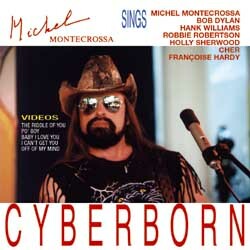 2001 album "presenting the new Cyberdisco Hit Sound" of German Dylan freak Montecrossa. Includes a cover of Robbie Robertson and Howie B's "Take Your Partner by the Hand" from Contact from the Underworld of Red Boy. A live version of "Take Your Partner by the Hand" from Michel Montecrossa and his band the Chosen Few is available on the 6-CD set Michel Montecrossa's Bob Dylan Fest 2001 (Mira Sound Germany, 2001). Caution advised.